In a recent decision, the Florida Supreme Court ruled that the law that limits pain and suffering damages in medical malpractice cases is unconstitutional. The opinion was divided with the majority of 4 justices finding that the caps violated equal protection rights. The caps in question are those that deal with non-economic damages. In effect, this decision is an extension of a 2014 Florida Supreme Court decision that found caps unconstitutional in malpractice cases involving wrongful death. The Court's majority opinion also disputed that a malpractice insurance "crisis" exists - an important factor in the 2003 decision to impose the caps. The case that resulted in the Supreme Court's ruling to throw out the damage caps was a 2007 personal injury lawsuit. In the case, a plaintiff sued the North Broward Hospital District and other defendants when surgery for carpal tunnel syndrome resulted in a perforated esophagus. A jury awarded $4 million in non-economic damages, but that amount was reduced by $2 million because of the caps in existence. In 2003, the Florida Legislature and former Governor Jeb Bush approved the caps after months of debate. 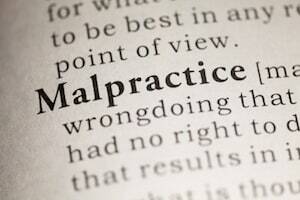 At that time, doctors and lawmakers described the environment as a "crisis" of high malpractice insurance premiums. Plaintiffs' attorneys opposed the damage limits, feeling that they would hurt injured patients. The law that was put into place in 2003 capped damages at different amounts based on factors such as the types of defendants and the numbers of claimants in the lawsuits. If you or a family member has been harmed by medical malpractice, or the mistake of a doctor or other health care professional, or by any type of personal injury, please contact the Law Offices of Diana Santa Maria, P.A. immediately. Our experienced attorneys will fight for the compensation you deserve. Please call us for a free consultation. Attorneys Diana Santa Maria and Laura D. Dolin, personal injury attorneys in Fort Lauderdale, will fight to secure justice for you and your family. You can reach us at (954) 434-1077 or contact us via the website.